Wild garlic will soon be in season. You might be lucky enough to stumble across a bed of its pungent leaves hidden in woodland. It’s lovely in salads, but can also be used to make a tasty pesto. The rest of the year, just substitute the wild garlic leaves with fresh basil, or a mixture of basil, rocket and watercress. 1. Lightly toast the seeds or pine nuts. 2. Roughly chop the wild garlic and put it in a blender with the rest of the ingredients, plus the toasted seeds/pine nuts. 3. Blend until smooth, adding more oil and seasoning to taste. 4. Serve on fresh pasta, with a few sun-dried tomatoes mixed through. 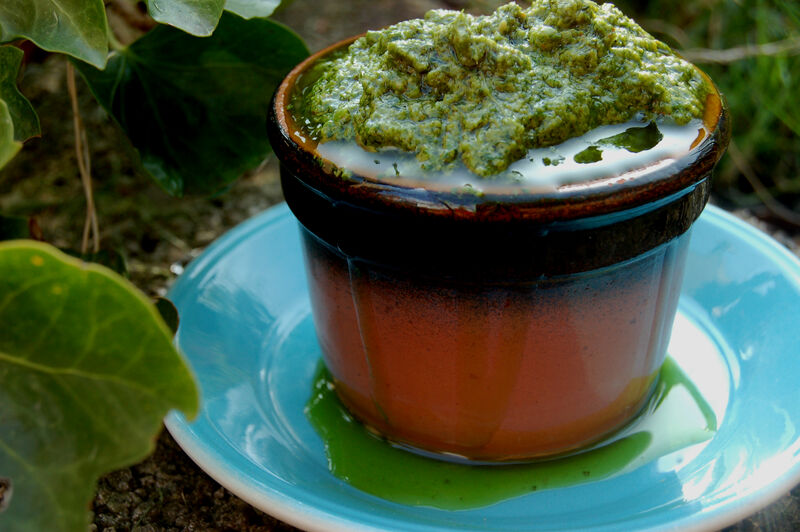 This entry was posted in Recipes and tagged homemade pesto, recipes, vegan recipe, vegetarian recipes, wild garlic pesto by Great Green Kitchen, Womankind Yoga, SUP Yoga Swansea. Bookmark the permalink.